This topic contains 8 replies, has 2 voices, and was last updated by Chien-Wen Liew 9 months, 3 weeks ago. I have 2 datasets from the 2 forms. These forms are close to the same (But not the same). Currently I have my forms and Formidable P2P working perfectly, and the one form exports to about 24 individual PDFs which are then emailed for us to process. I need to “DUPLICATE” this process with a new dataset, same forms but different data. And I only want to send SOME of the forms, and not all. Is it possible to DUPLICATE the field map to use for the 2nd form(dataset). I tried the “Template” function with the JSON file. But it didn’t work for me. When I select the 2nd form to export data from, it greys out all the field maps from the previous form, and does not show the template file. From the plugin’s EXPORT tab, select the Field Map Layout that you want to duplicate – scroll to the bottom of the field map layout – click the DUPLICATE button. OK, so this works to DUPLICATE the field map, but it is not selectable when I then go up to select the 2nd form to export data from. It greys out the duplicated field map. The duplicated field map is then only available from the 1st form where I made the field map in the first place. I want to use it on my 2nd form. What is the reason you are trying to use the duplicated field map layout as a “2nd Dataset”? It sounds like you may be using the “2nd Dataset” feature incorrectly. Let us know exactly what you are try to accomplish as we are not clear on your end goal. OK, I have the first form which is for a certain group of individuals. Its setup perfectly and works well. The 2nd form has similar fields (but not the same), and uses the same forms, but there are some hard coded elements in the forms that need to remain as is. This means I want to use similar forms, with the same form fields, but I want to use a different form. Does this make sense? So far it does not sound like the “2nd dataset” functionality is used for what you are trying to accomplish. 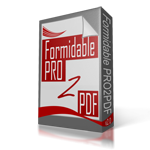 I have Formidable Form A which works with PDF Form A.
I need Formidable Form B to work with PDF Form B. AND PDF Form A and B are slightly different but share the same fields. There is really no way to “duplicate” the 1st field map to work with Formidable Form B and PDF Form B. To accomplish the task quickly, we would name the PDF Form B fields exactly the same as the Formidable Form B fields and use the “Enable automated layout creation for new field maps” option found on the plugin’s SETTING page to automatically create the 2nd field map layout. OK, thanks for that. That’s what I thought after playing around.